Not surprisingly, there are a lot of questions these days about biosimilars — nearly identical variants of biologic drugs that are expected to achieve the same results in patients as the original brand-name drug. Last week we hosted an hourlong webinar on the biosimilars, and we also fielded many questions on the subject from folks who tuned in. But we ran out of time to answer all of the questions, so to compensate, we collected some more of those questions and compiled responses below. 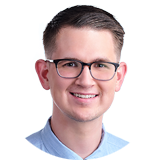 Nicholas Florko is a Washington correspondent for STAT, reporting on the the intersection of politics and health policy.